SEB Enrollment is a biometric access controll system, which supports devices and algorithm from different supplier. 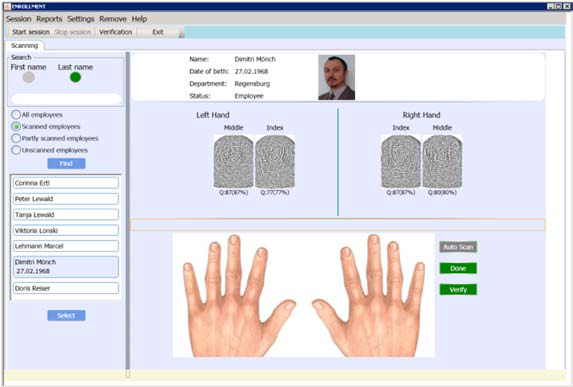 The use of biometrics to confirm personal identity has become a key component to company’s security. And, as such, there is an escalating need for such systems. Fingerprint Identification Systems are the best choice for normal security needs. 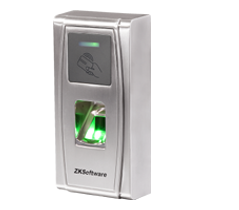 The system is able for 1-to-many fingerprint identification against database or 1-to-1 verification against MIFARE card. And it fulfill the NIST Special Publication 800-76, „Biometric Data Specification for Personal Identity Verification“, which describes the requirement for data acquisition for PIV systems. The enrollment program is a easy to use, but secure, touch screen application written in .net technology.